It consist of pure cow colostrum milk as the main ingredient with aqueous dry extract of Ashwagandha, Gokshuru, Vadarikand and Kaucha. Cow colostrum also known as Gau Piyush: It is highly beneficial for improving immune system and enhances the growth factors. It is a perfect combination of minerals and vitamins that insures growth, health and vitality in body. Considering these benefits we have formulated a product called BODY MASS ADVANCE. It is highly beneficial for the person who are interested in gaining good physical structure. It enhances the appetite, protein intake and most important energy level of the body. It builds up all the muscle tissues that includes lungs and heart. 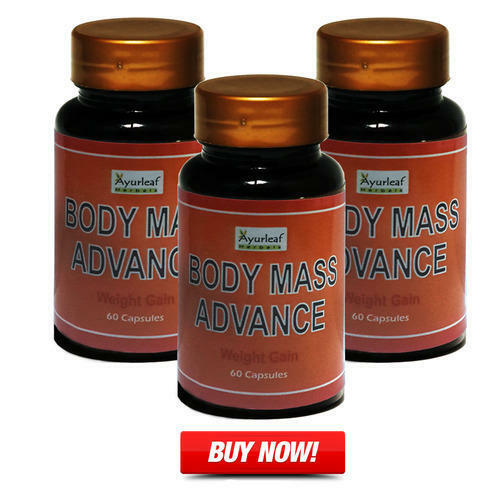 Bodymass Advance should be taken, only after meal two times a day.